Here is my twentieth entry for Tina’s BFF picture parade, she’s on #35; I haven’t decided what to do about numbering!. I know this feeling so well! My childhood was complicated by the fact that my Dad couldn’t understand how I could read and watch TV simultaneously…it was easier in those days, when TV was dialogue based rather than action based as today. There’s more information on BFF under my heading Fun Things which has a link to Martina’s blogpost and the meme picture in my RH sidebar also links to Tina’s post. Come and join us and have some fun! Here is my nineteenth suugestion for Tina’s BFF picture parade. A small apology to all my readers for the lack of posts recently. There have been various things going on, and I didn’t get chance to schedule posts before I went on holiday. Hoping to change all that now I’m back; I shall try harder! Thanks to Swiss Army Librarian for the heads up! Here is my eighteenth entry for Tina’s BFF picture parade. Here’s something to furnish the room with the shelves in BBF(4). At last, a practical place to keep my “currently reading” pile all together! Have a great weekend everyone. Read in comfort – I’m just wondering where to put my glass…. Here is my seventeenth entry for Tina’s BFF picture parade. 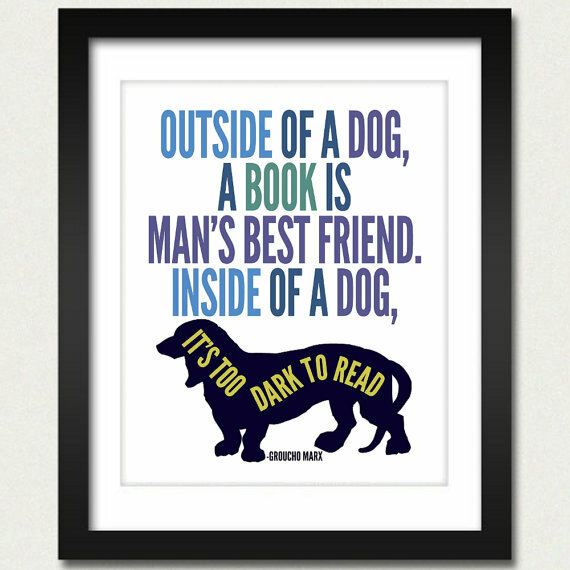 This is one of my favourite quotes…I do like Groucho! She’s determined to defy him, but whose willpower will prove the strongest? Defying Drakon is published by Mills and Boon, so it’s no spoiler to reveal that boy gets girl! This is a slightly more realistic relationship plot than others I have read recently. For instance, Gemini, the heroine, has a shop and employs an assistant, so life went on there during the predictable “whisking away” of heroine by hero, the eponymous Drakon. As usual, the whole book takes place in the space of 2 – 3 weeks: from complete strangers to soulmates in under 21 days! I think (it’s been quite some time since I read the book) they also got a marriage licence in record time. Marry in haste, repent at leisure springs to mind! I bought Defying Drakon – only because I didn’t get round to cancelling my subscription in time to prevent shipment, as I had intended. I don’t recall any of the usual M&B printing glitches – no incorrect names anywhere! I recommend Defying Drakon to all Mills and Boon lovers; it is a good example of the genre. I’m claiming this book as No. 57/150 in the Goodreads 2012 Reading Challenge. Posted in Book Reviews, Bought Books, Goodreads 2012 RC, Print Book - as Pledged! Here is my sixteenth offering for Tina’s BFF picture parade. I thought it was about time I included a vampire themed funny picture. There are good vampire books and … well, I’ll let you finish that sentence!! Waiting on Wednesday is a weekly meme hosted by Breaking the Spine that spotlights upcoming releases that we’re eagerly anticipating. You can click on the picture at the top of this post to take you to the host’s blog. Here are some upcoming books from Strange Chemistry, a relatively new imprint specialising in YA Sci-Fi and Fantasy. I think that Emilie and the Hollow World sounds like a cross between Jules Verne’s Journey to the Centre of the Earth and Phillip Pullman’s His Dark Materials. It sounds exciting and entertaining. Emilie and the Hollow World is published by Strange Chemistry and is released in April 2013 in the UK and the US/Canada and internationally as an ebook. Zenn Scarlett is a bright, determined, occasionally a-little-too-smart-for-her-own-good 15-year-old girl training hard to become an exoveterinarian. That means she’s specializing in the treatment of exotic alien life forms, mostly large and generally dangerous. Her novice year of training at the Ciscan Cloister Exovet Clinic on Mars will find her working with alien patients from whalehounds the size of a hay barn to a baby Kiran Sunkiller, a colossal floating creature that will grow up to carry a whole sky-city on its back. Can’t wait to read all about the alien animals as Zenn Scarlett solves the mystery of how the animals are escaping. Zenn Scarlett is published by Strange Chemistry and is released in May 2013 in the UK and the US/Canada and internationally as an ebook. Two exciting books to look forward to seeing in the shops. If you want to know more, the links under “Strange Chemistry” will take you to their pages about the books in question where you can find links to your favourite online shops – and can pre-order.